Chris Kaiser, over at Life Under the Lights, has posted a fascinating piece today on the future of EMS, or as he likes to call it, EMS 2.0. In his post, he ponders the questions that come from looking at where the profession may go clinically, in the future. If you have a proactive and forward thinking medical director who wants to implement loads of new procedures, medications and other advances into the pre-hospital arena which were historically held in the realms of in hospital physicians, where could it lead…..? Click here to read Chris`s post, then come back to get my response. Chris makes a valid point and one that has reared its head on many occasions in the past in my service. That of payment for the skills that we use. In the UK we are on par with the pay that a brand newly qualified nurse gets when they leave nursing school, who has far less direct responsibility for patient care than we have. To get the same sort of level of responsibility, the nurse will be on a significantly higher salary bracket than the paramedic. When we first began to use Morphine, the payment question came up, and there was talk of an additional payment for Paramedics willing to use it. In the end it just became part of our protocols and we all ended up using it. Then came autonomous administration of Tenectaplase for STEMI (clot busters for Heart Attacks). We did not need permission to do this; we did not need someone to look at the ECG and say, Yup..OK….go ahead and administer the thrombolysis. It was down to the paramedic in the back of the ambulance, making a clinical diagnosis and implementing a treatment pathway that included the administration of a potential dangerous drug for the patient (albeit one which has much greater benefits than risks). Again, there was talk about additional payments, but again, it just became part of our standard treatment guidelines. There seems to be a pattern forming here, yes? The Ambulance service is constantly moving forward. Medicine and treatments are constantly being developed and trialled in hospitals. Shortly after something is proven in the emergency medicine field, someone somewhere thinks about if it would improve patient outcome if given earlier in the prehospital setting. Inevitably it comes to us and we jump at the chance of having the opportunity to make a difference for some more of our patients. I am one of the ones who have always said I would be happy to do these extra things, as I want to be able to give my patients the best possible treatment. I am not in this job for the money, that is blatantly clear, but I am in this job to move forward and develop the practice of myself, my colleagues and my profession where ever possible. I wonder though, are paramedics like me doing my profession harm? It shouldn’t come down to money, but surely there needs to be some recognition for the extra skills, assessments, diagnostic abilities and most importantly, ultimate responsibility that we as Paramedics and EMS providers hold. As far as I can tell there are still many, many people wanting to be a paramedic. Recently, my service has just put out an advert for Student Paramedics and we had over 700 people apply for 25 positions. These will come out of training school keen and eager to do what they can for their patients and in the mean time, they will come out with all of the extra skills and abilities that some of the current operational staff will not have had the opportunity to be trained on, or want to be trained on. But what about Chris`s vision of the future….Paramedics performing thoracostomy and thoracotomy on the road side, giving drugs which would never have even been imagined to be given in the prehospital setting and generally taking the FULL ER/A&E department to the patient. (Just as a point of interest, one of our A&E consultants is actively recruiting paramedics to train to do Fast Ultrasound scans in the field to assist in treatment decisions). 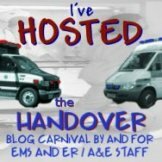 In a previous post, I have talked about the analogy of a Paramedic Lego man. One little fella who is constantly having extra little bricks (skills) added onto him at least once a year. He keeps on getting more, and more, and more bricks until one day the base cannot hold him any further and he topples to the ground. There are already some paramedics who are finding it hard to keep up with the ever changing guidelines and the ever more ‘diagnostic’ and assessment side of what we do. I can’t think of any other medical professionals on the same pay grade as us who have the responsibility to go out to see someone who has dialled 999 for help, assess them, then have the ability to tell them that they do not need to get any further help and can stay at home. However, I think we are getting ahead of ourselves by looking at all of the wonderful interventions that we may be able to do in the near future. My particular priority in taking EMS to a true profession starts at a much lower stage than advanced practice. I want to see Paramedics be proud of what they do, but more importantly take pride in how they deliver care to their patients. Once we start to act professional in the proper sense of the word, then we can move forward as ‘professionals’ and take control of our own future as a large and significant group of clinicians. An understanding of the ‘bigger picture’ in Emergency Care. An awareness of where we fit into the overall health care provision for our patients. EMS 2.0 should not just be a U.S model for the advancement in Pre-Hospital Emergency Care. It is just as relevant in the U.K today as it is in the USA. I’m completely behind what you are trying to achieve Chris, and I hope that you get your concept to where you want us all to be. I think the key point here is to remember your fantastic analogy of the Lego man. We can give him more bricks, but only by reducing the number of bricks he already carries. Look at what a paramedic needs to be able to do, and what he doesn't. For example, we'll come back to the old “should paras intubate” question – would remove intubation allow you to concentrate on being able to do a more important skill, such as administer better opiates or thrombolysing drugs?However, when it comes down to it I don't think paramedics should do, for example, thoracostomies and thoracotomies. Two reasons. Firstly, its the same as the intubation argument – how often would you do it? The more complicated the procedure, the harder it is to retain the skill. People doing it in hospital will do the procedure far, far more often than the average paramedic. And from this we could say that the chances are that you may do more harm than good, either through messing up the procedure due to lack of experience, or just through prolonging on scene time unecessarily.I hate hearing people “slating” the skills of paramedics, so don't read it that way. But I feel that for the paramedicine to develop, EMS 2.0, you need to not only look at what advanced “in hospital” skills would be useful on the road, but also which are doable on the road. If a particular skill looks like it won't work, don't try and throw that brick onto the Lego man's pile just because you can, instead concentrate on a core brick pile that can be used reliably for the patient's benefit. This line of thinking is in fact one that I've been contemplating for quite a while. Who among us hasn't had a patient that would have benefited from a relatively safe drug or procedure that wasn't available to us, and the patient subsequently had a poor outcome?My feeling is that it all comes down to education and training. In the US, a high school graduate takes between 1-2 years to become a licensed Paramedic. This is really nearly the same amount of time as a Registered Nurse spends in training when it comes down to it. However, nurses have the opportunity to further their education and training and thus have the ability to practice medicine at a higher level of care than their colleagues – this taking the form of completing a Master's Degree and becoming licensed as an Advanced Practice Nurse: such as a Nurse Practitioner, Nurse Anesthetist, or Nurse Midwife, etc. Paramedicine should have such similar opportunities for advanced training, and instead of simply attending inservices or seminars, the completion of graduate education should open up a broader scope of practice for paramedics. Whether this scope increases the primary care aspect of the profession, or perhaps includes additional surgical capabilities paramedics would be granted to perform in the field.Several years ago, two Paramedics, while working in an ambulance for the hospital which is currently my own employer, were presented with a pregnant patient in cardiac arrest. After all interventions failed to resuscitate the patient, in direct consultation with a physician over a mobile phone, the paramedics were directed to and instructed how to perform an emergency C-section on the patient, and the paramedics extracted a viable baby from the womb of the mother. After resuscitating the baby, she was successfully transported to the hospital (where she lived in NICU for 3-5 days, but unfortunately died). These paramedics were regarded as heroes by their colleagues and the media. However, their paramedic certifications were subsequently suspended then revoked by the state Department of Health for operating outside of their scope of practice.EMS 2.0 really is the next evolution of our profession. However, standards of education and scope of practice really need to be in place across the country so that all providers at various levels are on parity. as I've just come of a runf of nights, here a short commenta) only implement evidence based practice: what will really help the patient (and not boost our egos)b) multi-tiered system. If you want to be a basic ambo, thats fine. If you want to do more, study, sit the test, and bring it on! As always, excellent post Mark and some well though out ideas. Happy to have EMS 2.0 spread across the pond. Do you see what is happening with it in the comments and posts across the blogosphere? People are talking about EMS 2.0. They're using it as both a noun and an adjective. It's exciting.I don't think that it is medics like you that are hurting the profession. Our willingness to add to our skill set and to adapt, overcome, and improvise is what gives us our professional identity. Yes, we're the proverbial Lego Men (You created a proverb, isn't that cool?) but new knowledge doesn't hurt us. Adding bricks without understanding why they were added is what hurts us in that respect. As technology and the total body of knowledge increases, we will always be tasked with newer and more complex things to do. To shirk the responsibility to learn them would render us obsolete.It's medics like you that build our momentum. Happy to be counted among you. Actually, the Happy Medic is the father of EMS 2.0. He's the one who developed, named, and founded the concept. I just thought it was cool and wanted to run with it. He's running with it just as hard as I am.I'm proud to be associated with it, but it's Happy's baby. I have not much time, but I’ve got many useful things here, love it!